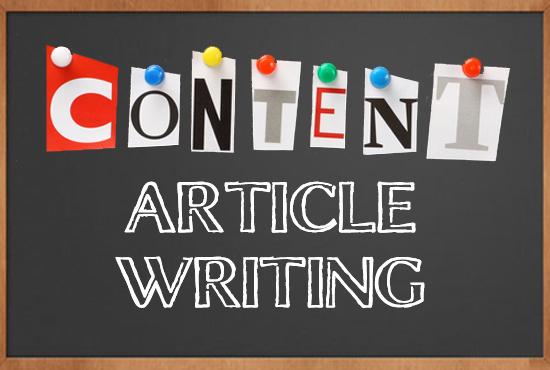 During my project in CGF 2017, article content creation is one of the many responsibilities tasked. 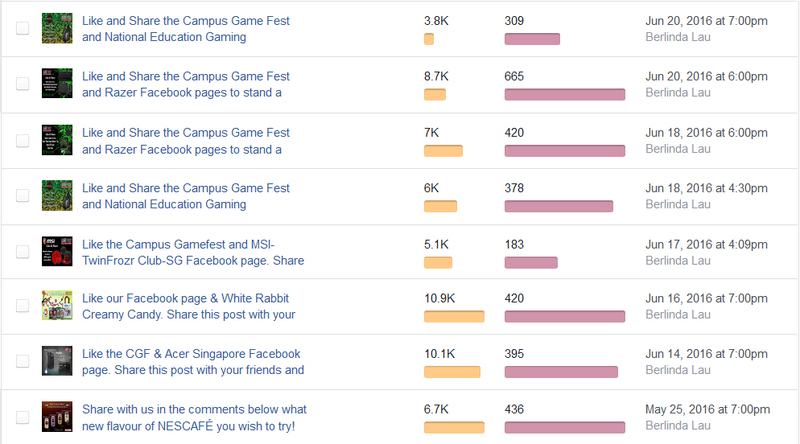 These are the few articles that were written, including the links to the articles itself. 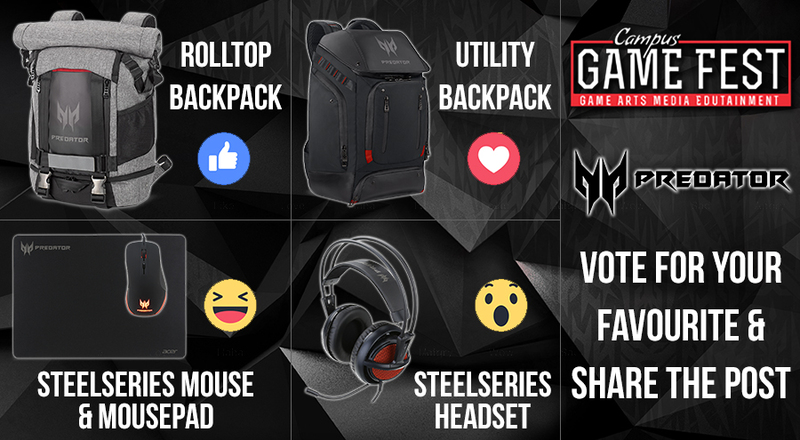 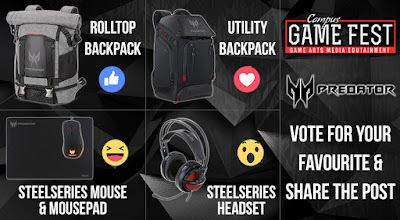 Campus Game Fest 2017 Is Back! There are a total of 9 roadshows that were organised all on different dates and venues: SIM, NP, NYP, SP, RP, TP, ITE CC, ITE CW, ITECE. 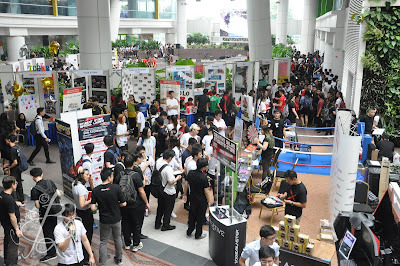 From planning, to getting hold of the venues by liaising with these various institutions, logistics arrangements, updating partners and sponsors to inform them about the roadshows, execution of the roadshow including set up and tear downs, hiring of manpower, updating in social media channels, graphic design of collateral for roadshow. This is a training workshop for the students participating in the Guardians Of The City Tournament 2017 that is planned, liaised, coordinated, and managed. There were more than 20 participating schools and a total of 64 teams of 5 participants for the tournament. 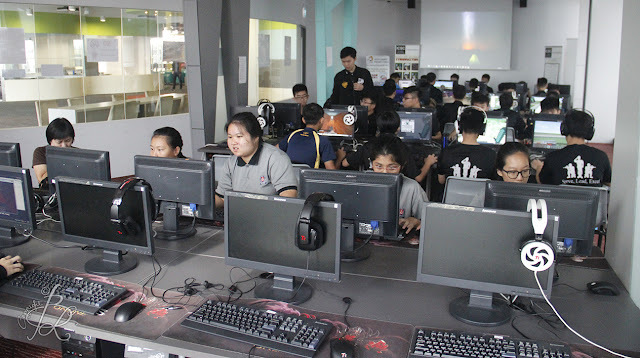 Schools were contacted via the traditional method and details of the content were emailed to the teachers in charge. 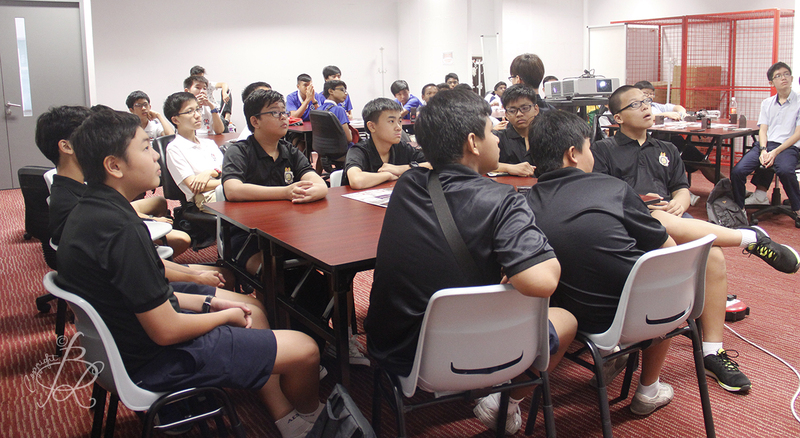 Thereafter, arrangements were made to coordinate and schedule the training sessions for the students. This workshop updates the students on the latest expansion pack, rules and regulations, how to play the card game, strategies, brainstorming, teamwork as well as to promote gaming in a holistic approach. 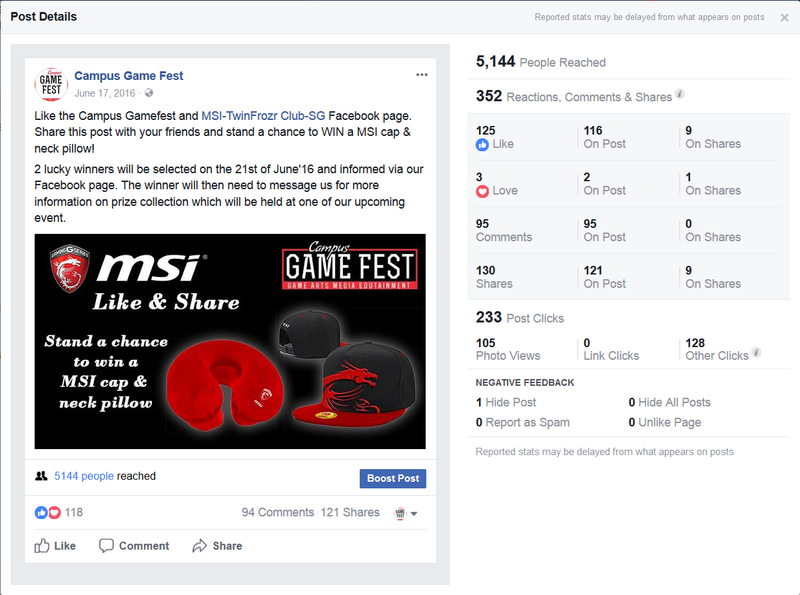 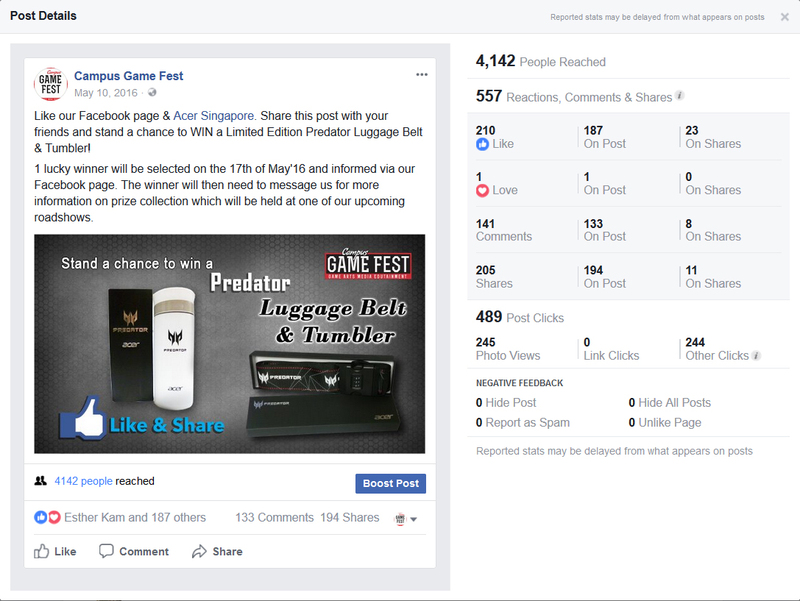 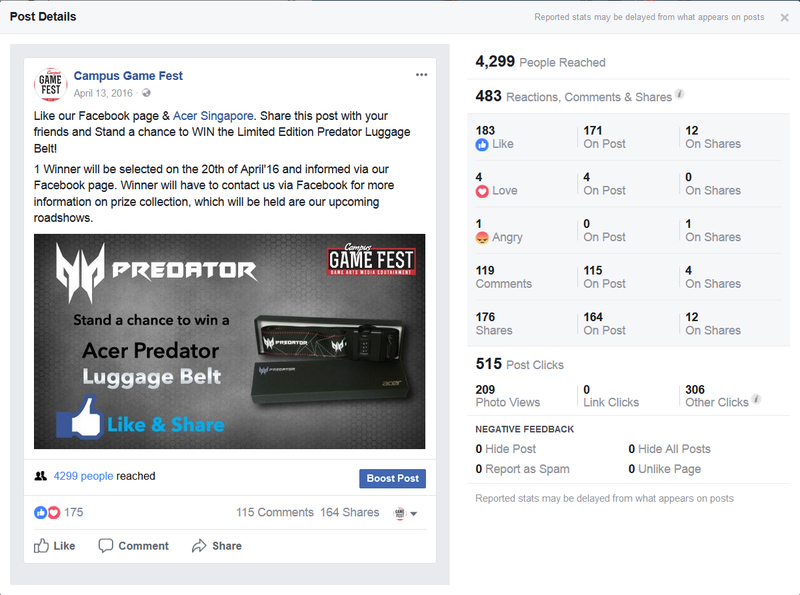 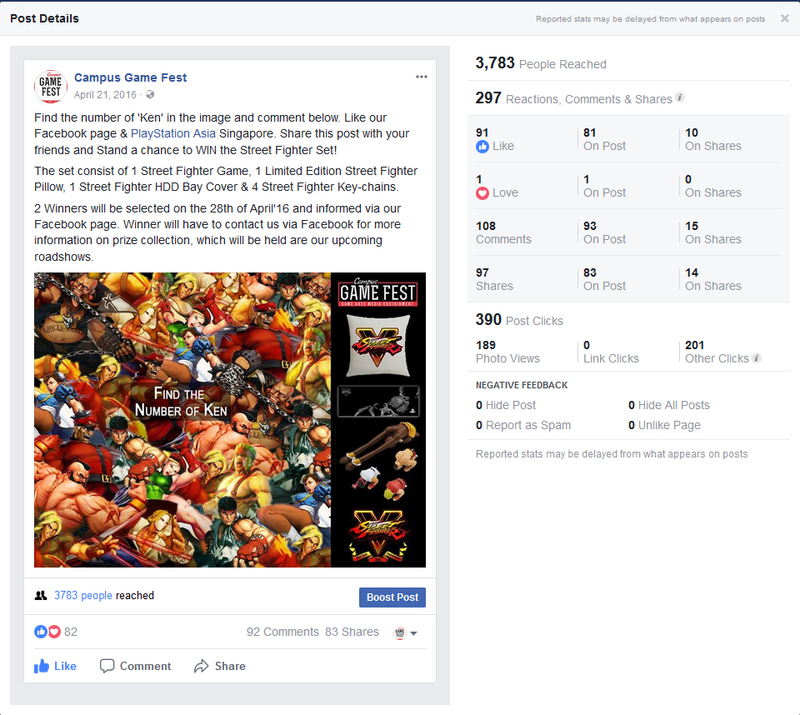 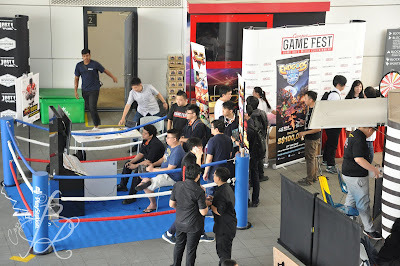 Upon taking up the role of a Marketing Executive for the project, Campus Game Festival, in 2016, churning out articles is one of the tasks that was being responsible for. 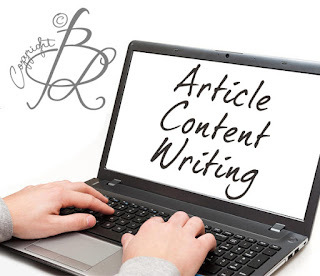 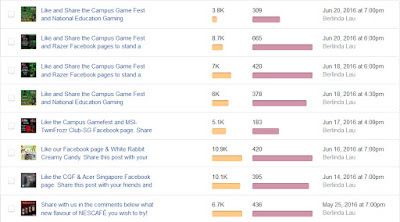 The whole idea of the articles are to create content in relation to gaming as well as to promote their main partners. Creating the link and connection wasn't easy as it requires creativity, a story connection or link, as well as research and new ideas so as not to replicate contents that are already out there. 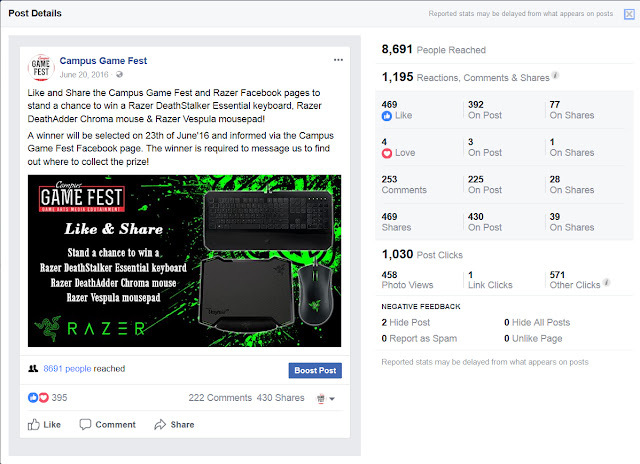 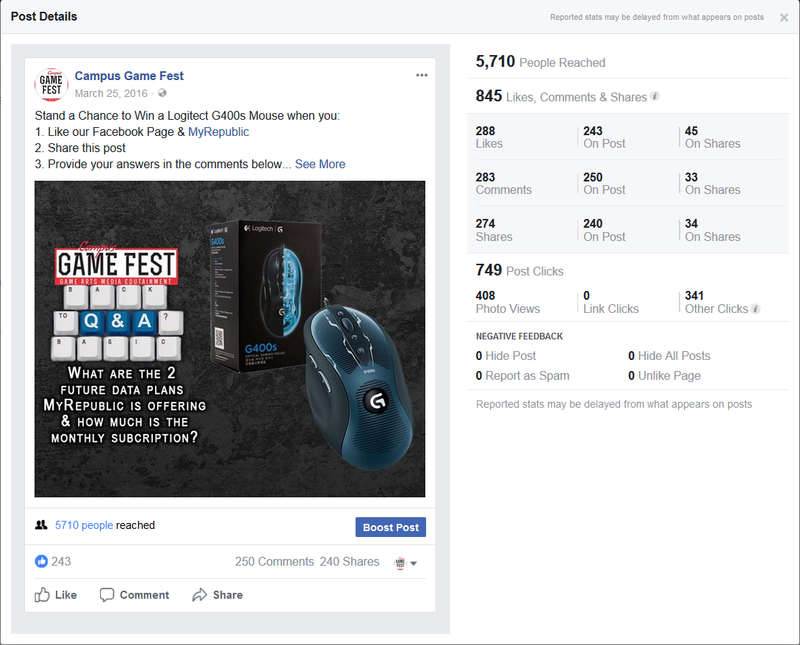 The above are all social media marketing post created by me for the partners and sponsors that are supporting the Campus Game Fest 2016. 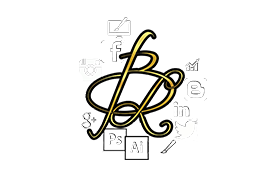 Even the graphic visual content are all self designed for posting. 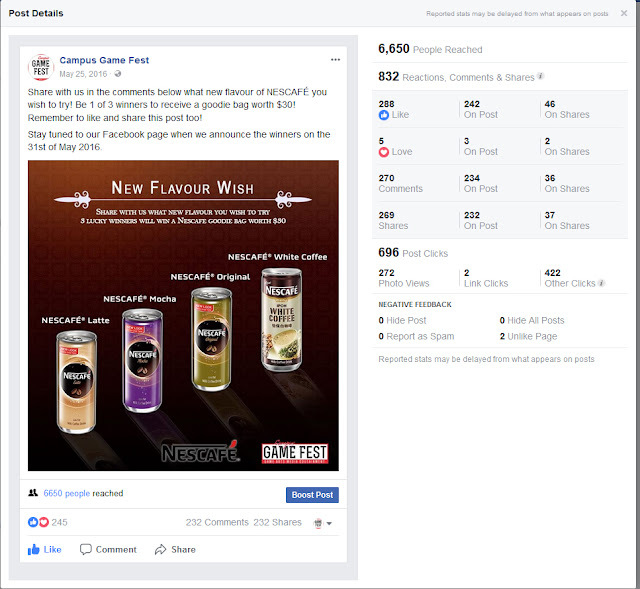 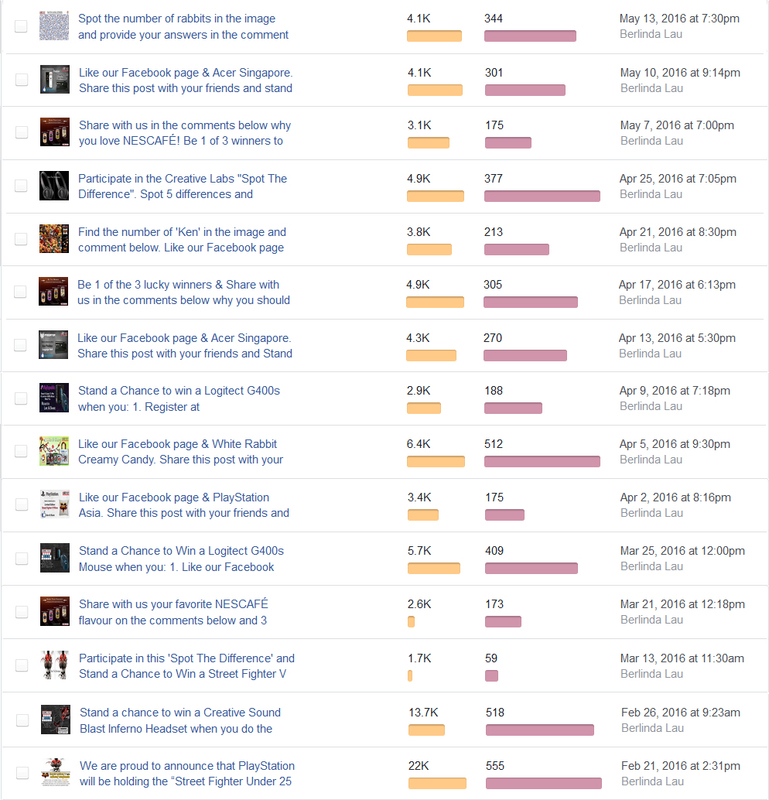 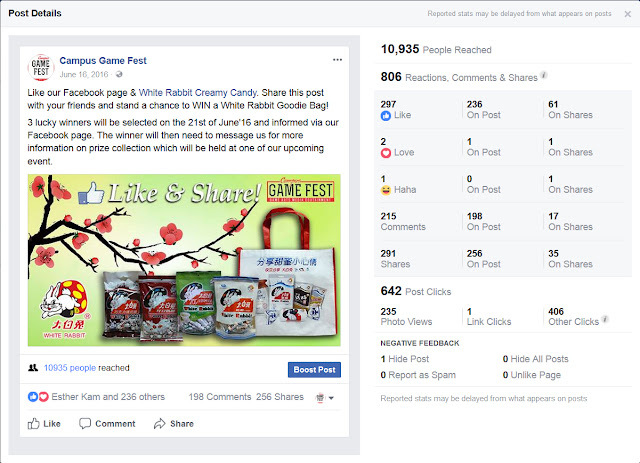 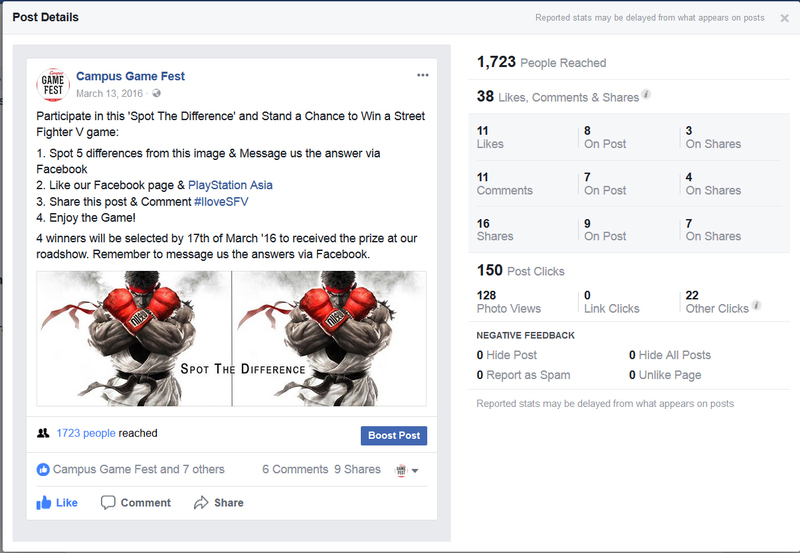 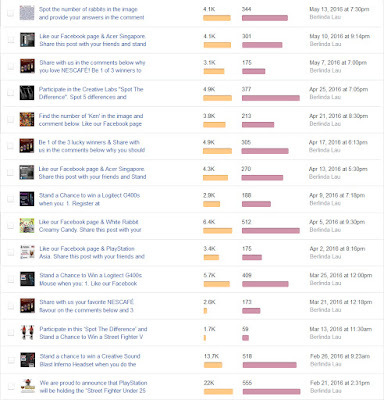 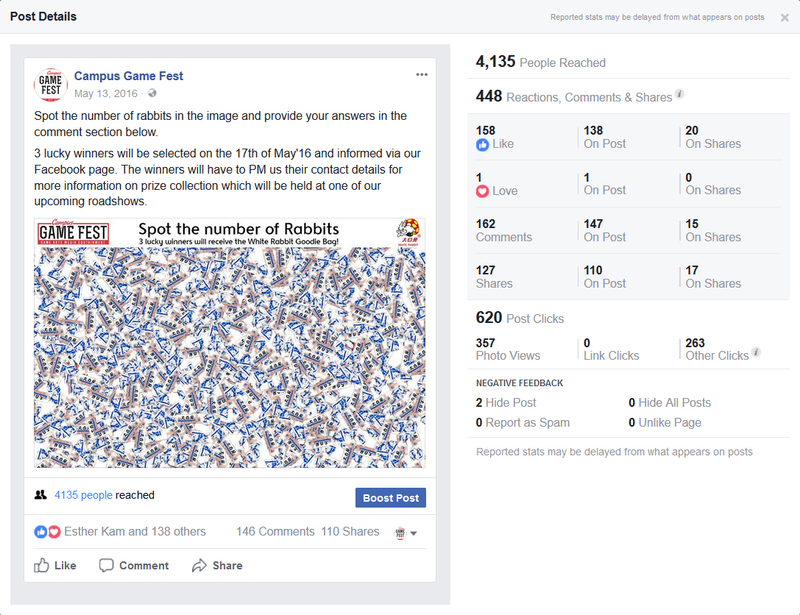 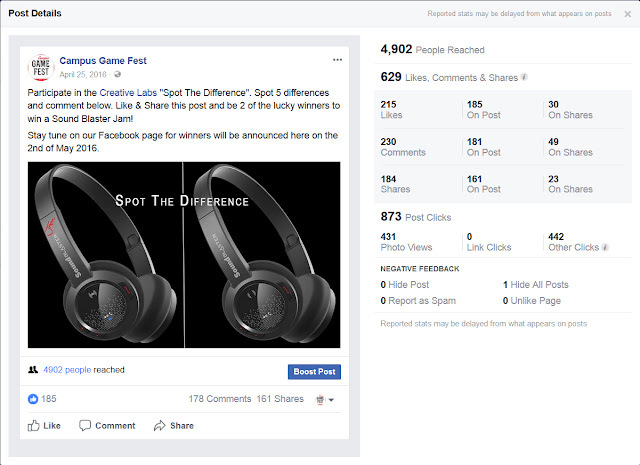 Among the images are also screenshots of the posts' statistics in which the reach out to the audiences are all organic and engaging. Below are other content created to regulate and keep the audiences engaged. 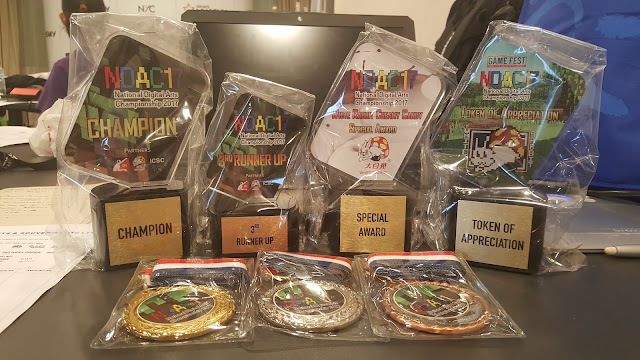 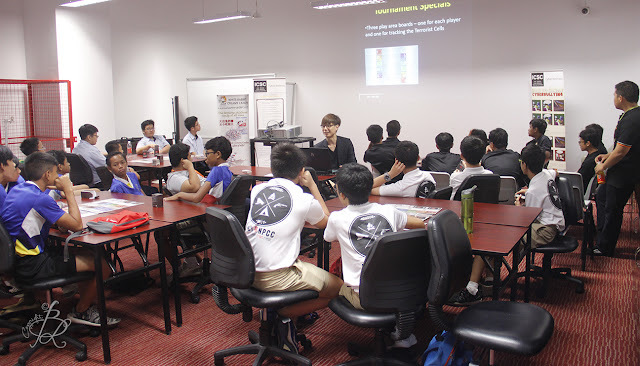 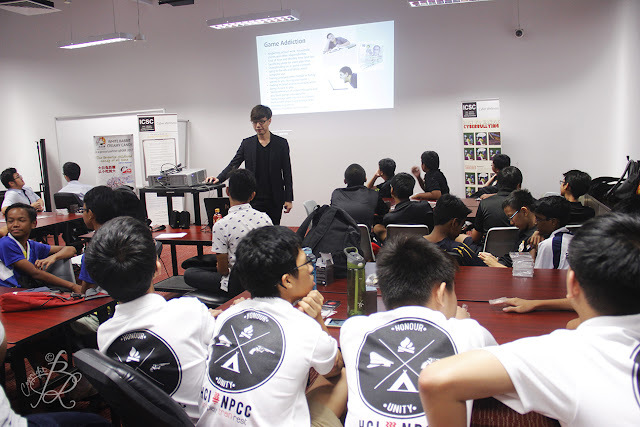 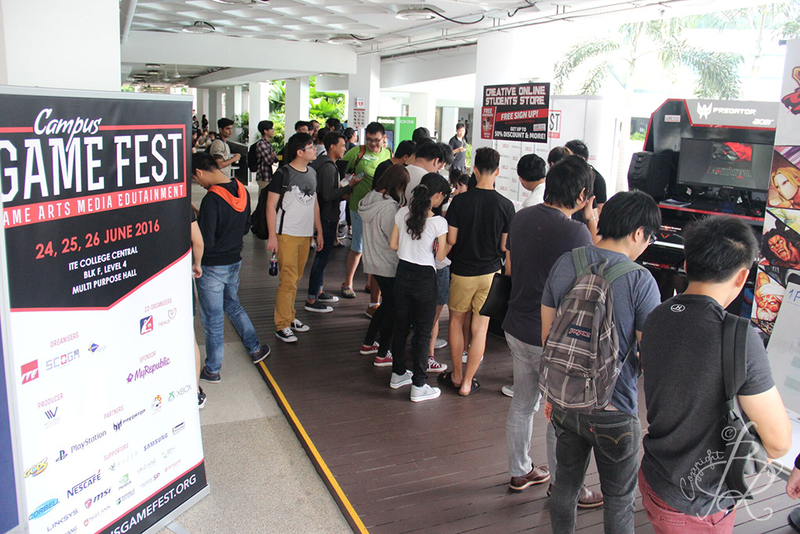 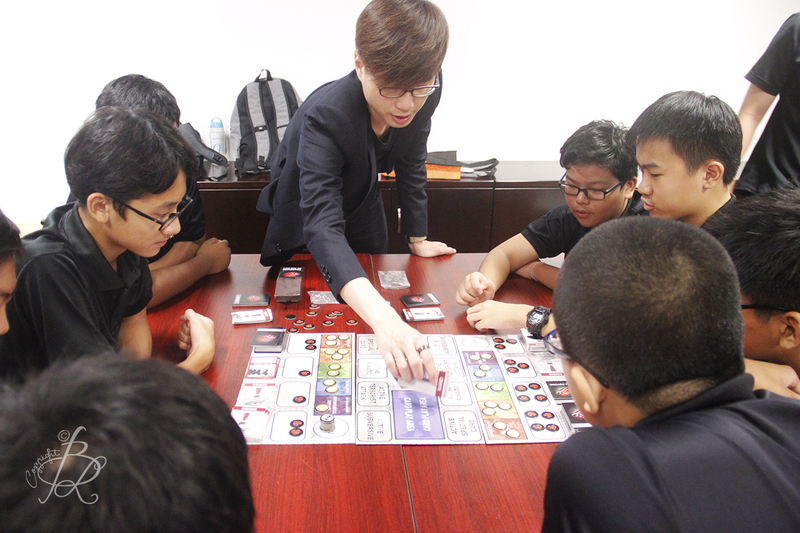 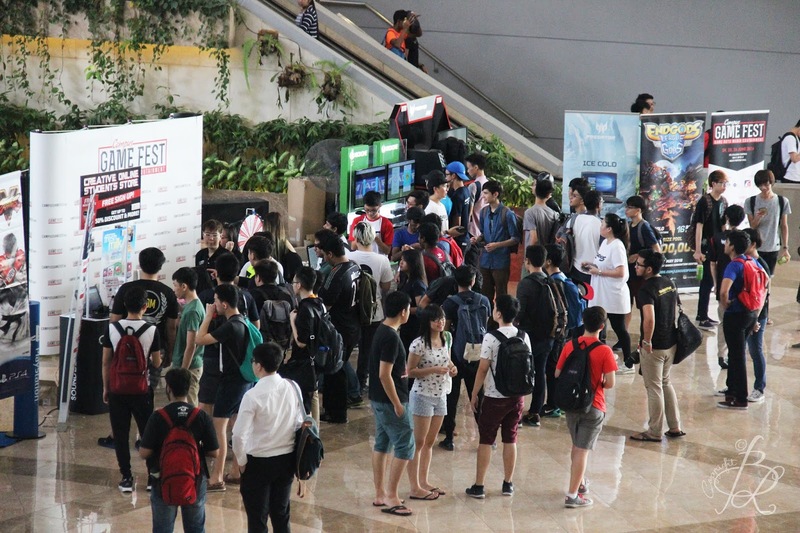 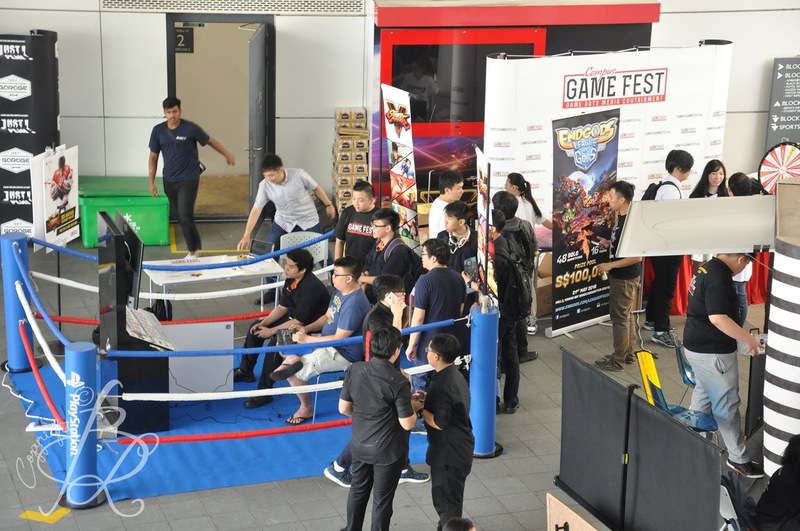 Leading to the Campus Game Festival in 2016, roadshows are being organized and held within various campuses: ITE College Central, ITE College West, ITE College East, Republic Polytechnic, Singapore Polytechnic, Temasek Polytechnic, Ngee Ann Polytechnic, Nanyang Polytechnic, Anchorvale Community Centre, Punggol Park Community Centre. 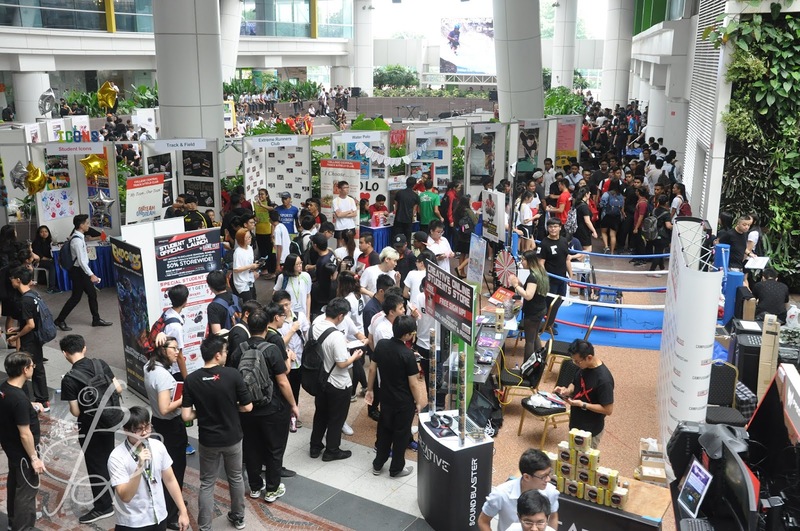 Responsibilities for the roadshows include being in charge and execution of the roadshows, managing manpower on site, setting up and tearing down of the roadshows, liaising with partners and sponsors with information on the roadshows, managing and updating of social media channels and lastly photography of the whole scene. 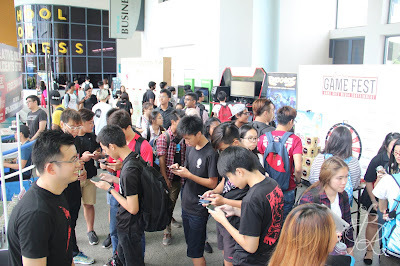 Above are just a very minor few of the photos taken for the roadshows.